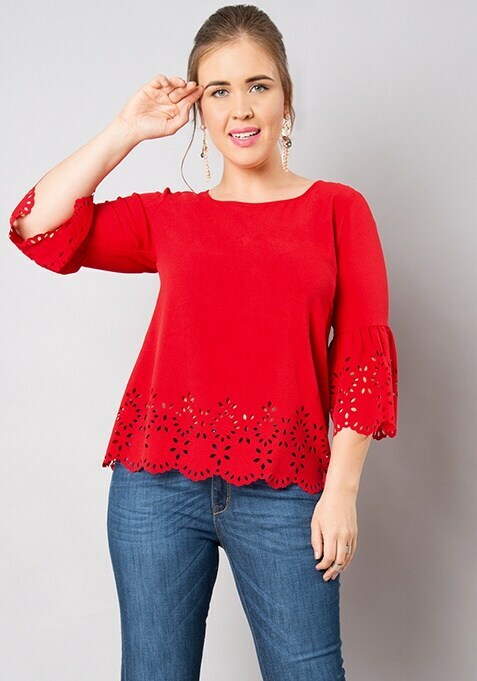 Celebrate your individuality in this red laser cut top that is elegant, stylish and comfortable to wear. Featuring laser cut floral details on the hem, this top has bell sleeves. Work It: This top looks great with skinny jeans and black heels.